All guests enter a binding and legal contract with Florida Sunshine Vacation Rentals (FSVR) when ordering or placing a reservation with FSVR through the online/phone reservation system. All reservations made with FSVR are final if and only if the reservation has been confirmed by FSVR and the down payment deposit has been collected by FSVR. All reservations including but not limited to an online reservation request by the guest, he or she automatically agrees to the articles of reservation described here under. The FSVR online reservation system will automatically display acceptance of the guest reservation request while displaying a transaction ID number to the guest through the online booking engine used to submit their reservation. If the reservation is requested over the phone, fax, e-mail or by any other means, a reservation receipt will be sent electronically to the guest within 24-48 hours of their reservation request via e-mail. The transaction ID number is not to be regarded in any way as a confirmation of the reservation request but as an acceptance of the reservation request. A confirmation will be sent separately to the same e-mail address provided by the guest. This confirmation will be the guest acceptance of the reservation by FSVR. It is the guests obligation to verify the confirmation for accuracy of the reservation and all information on the reservation. FSVR must be notified of all discrepancies on the reservation within 24 hours. Reservation Terms and Conditions for Florida Sunshine Vacation Rentals and guest requesting homes: All guest enter a binding and legal contract with Florida Sunshine Vacation Rentals (FSVR) when ordering or placing a reservation with FSVR through the online/phone reservation system. All reservations made with FSVR are final if and only if the reservation has been confirmed by FSVR and the down payment deposit has been collected by FSVR. All reservation including but not limited to an online reservation request by the guest, he or she automatically agrees to the articles of reservation described here under. The FSVR online reservation system will automatically display acceptance of the guest reservation request while displaying a transaction ID number to the guest through the online booking engine used to submit their reservation. If the reservation is requested over the phone, fax, e-mail or by any other means, a reservation receipt will be sent manually to the guest within 24-48 hours of their reservation request via e-mail. The transaction ID number is not to be regarded in any way as a confirmation of the reservation request but as an acceptance of the reservation request. A confirmation will be sent separately to the same e-mail address provided by the guest. This confirmation will be the guest acceptance of the reservation by FSVR. It is the guest obligation to verify the confirmation for accuracy of the reservation and all information on the reservation. FSVR must be notified of all discrepancies on the reservation within 24 hours. Deposits and payments to FSVR: FSVR accepts the following forms of payments credit card Visa, MasterCard, Discover, American Express, or any debit cards with those logos. Cashier check and cash payment is also accepted on a case-by-case basis (No Personal checks). When making an online reservation request the guest consents to the credit card provided being charged all amounts due. The guest acknowledges, approves and gives FSVR the consent to charge the credit card provided for the remaining balance of the reservation amount upon the final payment due date. 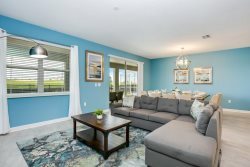 A reservation down payment of $200.00 or 35% for Naples homes is required for every reservation in order for FSVR to accept the reservation request. The down payment is part of the total amount due on a reservation. Every 60 days thereafter a mandatory payment of $100.00 will be made to the card on file for the reservation. The final balance of a reservation is due 45 days(65 days for Naples) prior to arrival date. Any reservations made within 45 days of the arrival date (65 days for Naples) the full amount will be due and collected automatically upon reservation request. The down payment portion is non-refundable and the final balance remaining is nonrefundable if after the 60 days prior to arrival date, 65 days for Naples. (See cancellation policy for details) FSVR cancellation policy on a reservation: A reservation down payment of $200.00 or 35% for Naples is required with every reservation request made by the guest. The reservation down payment amount is non- refundable . Every 60 days a mandatory mandatory payment of $100.00 will be made to the reservation. The remaining balance is due 45 days prior to arrival date 65 days for Naples and will automatically be charged to credit card on file for the reservation. The remaining balance is nonrefundable 60 days prior to arrival date, 65 days for Naples. FSVR requires any cancelation request to be submitted in writing to [email protected] with receipt request. Cancellation policy will apply to all reservation made with FSVR on the date of request as effective date. Cancellation request received will have a penalty fee of the down payment of $200.00 as nonrefundable and a 4% service charge if more is paid on the reservation. Cancellation request received 60 days or less prior to arrival date, 65 days for Naples, the total amount of the reservation will be withheld as nonrefundable. The complete reservation contract must be returned to FSVR within 72 hours of receipt or it is subject to cancellation without refund. FSVR will refund full amount of a cancelled reservation only in extreme cases and upon approval of FSVR management with proper documentation on a case-by-case basis. Changes of dates is not considered a cancellation when requested 46 days or more prior to arrival. Change of dates is subject to availability and fees apply. A request for date change may only be accepted when done in writing to [email protected] and will only take effect when confirmed by FSVR. In order to reschedule the guest for a future arrival date, the new dates must be submitted in writing to FSVR 45 days or more prior to the original arrival date. The new dates must be chosen within that year time frame of the original date to avoid forfeiture of down payment. There will be a $100.00 fee per reservation if a change in dates is requested and processed, no changes for Naples. Seasonal rates may also apply. Change in length of stay or to downgrade a home may also be requested 60 days or more prior to arrival date. FSVR will automatically update the reservation reflecting the new charges and balance due. If the request is made 59 days or less prior to arrival date and the balance due is less than the original amount no money paid will be refunded. Changes requested will only take effect when confirmed to the guest by FSVR and are subject to availability. There will be a $100.00 fee per reservation if a change in dates is requested and processed, no changes for Naples. In the event of a chargeback, all terms and conditions of this contract will remain in full affect. FSVR pricing of homes: All pricing of homes are displayed by the property as net rates per night and subtotal for the stay. By selecting a property the guest can click the “Book It Now“ button and the Step 1 section will provide the guest with the total amount of the stay, including applicable taxes and fees. With every booking option the guest can choose to add options to their stay, the total cost will need to be updated. This can be done by clicking the “Update Price and Totals” button, located under the Balance Due display which list the cost of the stay including taxes, fees, and options chosen. The "Update Price and Total" button can be used to recalculate the total for the reservation when clicked by the guest after choosing new booking options such as Early Check-In, Late Check-Out, Pool/Spa Heat, Crib, Highchair or BBQ delivery. All options chosen will automatically be included in the reservation total when confirming the reservation in Step 2. No other cost will apply unless specifically requested by the guest after the initial reservation request. Early Check-In and Late Check-Out ca be requested 72 hours prior to guest arrival for an additional fee and is subject to FSVR approval. FSVR does not guarantee Early Check-In and/or Late Check-Out will be available and is subject to change if not approved by FSVR. Normal utility consumption by the guest is included in the rental of the property. FSVR has Specific properties and Generic properties: Specific property rentals will have a unique property code and the description of the property will present to the guest the specific amenities the property offers (amenities are subject to change without notice). The pictures shown for the specific code properties are the actual pictures of that Specific rental home the guest may choose to rent for their stay. Generic property rentals will have a generic code and no two specific units are the same. All units are different and it is understood by the guest all pictures and presentations of a Generic rental represented as such. Images of Generic properties are considered examples or samples of how a vacation rental may look. Although all the pictures are taken from actual vacation rentals there is no guarantee the pictures will reflect the actual property of the designated vacation rental for the guest. The guest does have the option to reserve a Generic property. If the guest chooses to reserve this option, FSVR and/or the allocated property Management Company will designate the vacation property for the guest in accordance with their needs. Photos shown on the slide show of Generic properties are multiple homes being displayed as purely an example of the vacation properties, not of the specific property you will be staying in. Photos of a Specific property will not be available to the guest prior to arrival date. Special request of a home cannot be made for a Generic property other than the amount of bedrooms and price per night. Options/Choices with a reservation: Options and/or choices in the reservation procedure are understood and considered as a preference request(s) from the guest to FSVR. FSVR will try to match preference requests if possible. However, it is agreed by the guest within the reservation request FSVR can never guarantee all of the preferences will be available. In the case in which one or more preferences or options would not be available with the vacation rental the guest will be subject to compensation or claim for compensation. The chosen preference(s) not available will be taken out of the reservation and the total amount for the preference(s) (if already paid for) will be reimbursed to the guest's credit card on file. If the guest chooses a specific property listed on the FSVR website, the reservation will be confirmed as availability permits. The homes pictured for a specific property code is the specific home the guest reserves. If the specific home is not available for the dates the guest has chosen for reasons beyond our control, the guest may receive alternative suggestions of other specific homes available for the guest's scheduled dates of travel. The guest has the option to choose a property suggested by a FSVR staff or they may choose to cancel their reservation. If money has been applied to the reservation and the guest does not choose an alternative property but wishes to cancel the reservation, then the guest is entitled to a refund for the amount paid on the reservation. If the guest chooses an alternative property then no refund or compensation will be provided. In the event alternative suggestions are not available, the guest will be notified by FSVR their original home is no longer available for their dates of travel for reasons beyond our control. In this event, the total amount collected for the reservation will be refunded to the credit card on file and the reservation will then be canceled. The guest does have the option to reserve a Generic property rental (although we try to reserve a Specific property for guest vacation first). If the guest chooses this option, FSVR will choose the vacation property for the guest in accordance with their needs. The guest is not guaranteed a home presented on the slide show of these Generic properties. The check-in instructions for the property chosen by FSVR will only be disclosed to the guest once it is 5-10 days prior to their arrival date and their final balance is paid in full with all signed documents returned by the guest to the FSVR office. The guest does not have the option to decline the home chosen by FSVR as this is a placement of the reservation based on the guest’s decision to reserve a Generic property. Damages, Liabilities, and Insurance policy: FSVR realizes accidents do happen and would like its tenants to report as soon as possible any accidents or breakage during your occupancy in the vacation property to FSVR or the management company involved in overseeing the vacation property. When a reservation request is made by the guest a fee will automatically be added to the guest's total rental amount. This fee is known as the Accidental Damage Waiver (ADW) and will cover accidental damages up to $1,000.00 occurring during the stay. Only accidents reported to FSVR by the guest during their dates of stay will be covered by the ADW. Guests must notify FSVR of any damages to the unit during their occupancy or this plan is void. Any expenses incurred by damage or theft found by the management company upon the departure of the guest will be directly collected from the guest and charged to the credit card(s) on file for the reservation. The guest is responsible for any damages to the home or items within or placed upon the property during their stay. The expense to repair or replace such items will be charged to the guest directly by the management company, direct owner of the vacation property, or third party supplier such as FVSR. The responsible guest's proper billing information will be provided to the supplier. It is understood by all parties excessive damage is considered malicious. Malicious damages and/or theft will be reported to the authorities without exception. The guest will be held responsible for any additional expenses resulting from malicious damages and/or theft, and will be subject to the terms and conditions of the management company involved. The guest agrees and accepts liability for damages and/or theft caused by their party and agrees the charges made to the credit card(s) provided by the guest will not be disputed. The Accidental Damage Waiver (ADW) does not cover theft, gross negligence, willful or wanton conduct, intentional damage, lost keys, stolen pool/spa heat utility usage, additional cleaning fees due to excessive trash, unauthorized early check in/late checkout, pets, smoking, or any other violation of our rental policies. Additionally, you authorize FSVR and the management company of the vacation property to charge the credit card(s) on file with any additional damage fees. All vacation rentals are non-smoking facilities and smoking is restricted to the outside areas. Pets are welcome in a number of our vacation rentals and a guest is to inquire for a pet friendly home availability with the reservation request. Guests found with a pet in a vacation rental property without permission will be removed from the property immediately without recourse of reimbursement or refund. The pet deposit fee of $250.00 (or more depending on the home owner) will be charged to the credit card on file for your reservation in order to cover additional cleaning cost. If noticeable signs of smoking within the home are present, the guest will be charged the expenses incurred for the cleaning of all necessary items within the property. Separate terms and conditions will apply to your reservation. The guest agrees to abide by the terms and conditions imposed by any rental home supplier and/or management company, including, but not limited to payment of all amounts when due and compliance with the supplier’s rules and restrictions regarding availability and use of fares, products, or services. The guest acknowledges some third-party providers offering certain services may require you to sign their liability waiver, registration form, and/or a security deposit form authorizing a sum of $300.00 (or more) prior to or upon your scheduled arrival date. If such supplier’s rules and restrictions are not met or violated, it may result in cancellation of your reservation(s), in your being denied access to the applicable travel product or services, in your forfeiting any monies paid for such reservation(s), and/or in FSVR and/or the rental property supplier debiting your account for any costs we incur as a result of such violation. These forms will be completed and forwarded to FSVR by fax or email along with a copy of your Drivers License to confirm signature and in some cases a copy of the card being used for the registration form. This is done because to confirm the signature matches the card being used. FSVR recommends all guest take out adequate travel insurance. FSVR cannot be held responsible in any way or form for any Act of God, mechanical issues, accidents, illness, theft, or damages occurring to the guest and/or party. It is the guest's responsibility to protect the property and its contents against damage, theft, or loss. Guest are required to abide by state laws and local rulings and ordinances and to occupy the property in a quiet and dignified manner. All vacation rentals are licensed and insured. All vacation rentals are supervised and regulated by Hotel/Motel Registration Law and fire department guidelines and restriction. Service level to our guest: FSVR will provide the maximum level of customer service to it guests at all times and can assure a reasonable effort will be made to resolve any issue arising during your vacation stay in a rental property. Please know all of the individual owners and property management companies we work with will also make their best efforts to maintain each property and its equipment in good working order. Wherever commercially possible, repairs may be performed within 24 hours, but sometimes delays are inevitable. No refunds are granted for malfunctioning mechanical or electrical equipment including (but not limited to) inoperable appliances, air conditioning units, pool, and/or spas. No refunds will be giving for unfavorable weather, early departure, utility service interruption, construction, or maintenance issues. Also, no refunds for faulty recording or playback equipment, T.V.’s audio equipment, telephone, cable reception, computer equipment, or internet access. If an amenity listed as provided in a vacation property is temporarily unavailable to a guest due to the need of repair or replacement, no compensation or refund will be provided. Guests must understand they are visiting a tropical climate and often there will be issues with bugs, reptiles, and/or other natural habitat. All vacation properties are serviced on a regular basis but sometimes guests may encounter some creatures. If this is the case, please report the problem with the emergency number left in the property and someone will rectify the problem as soon as possible. FSVR will not be held accountable for such occurrences and no refund or compensation will be provided. FSVR has instructed all its management companies to deal directly, promptly, and immediately with any concerns or complaints our guest may have. The management company has full power to negotiate directly and on the spot with the guest in order to quickly resolve any issue or concern. The guest is required to report any complaints with the management company involved. Upon their arrival, guest is required to report to the property mamager any items found within the rental property appearing damaged or in need of extra care and attention, repair, or replacement. If not reported, it is assumed by FSVR and the property manager no preexisting damages existed to the property. The guest will be directly responsible for all cost or expenses incurred for any malicious, intentional or excessive damage to the property or items within the property and/or theft found upon departure of the property. Cancellation Insurance and Hurricane protection policy: FSVR can offer suggestions to the guest on where cancellation insurance can be purchased to meet their vacation needs. Most cancellation insurance fairly covers all family related occurrences preventing the guest from arriving at the vacation rental property (all coverage subject to availability and approval offered by independent insurer). FSVR does not offer cancellation insurance to guest directly and is not affiliated with any company offering cancellation insurance. FSVR does offer limited free and unique hurricane protection by offering to release the guest in case of a hurricane coming. This protection is effective if, and only if, an official hurricane warning is issued by the National Hurricane Center for the Central Florida area. FSVR will offer full refund to the guest for any commencement of stay within 7 days immediately after the official hurricane warning is issued. The FSVR Hurricane Protection plan must be requested in writing within that 7 day time frame. If a hurricane hits the region while a guest is staying in the vacation rental it is considered an Act of God and FSVR cannot be held responsible for this occurrence. Helpful Tips for a successful vacation experience: Please help us take care of these beautiful vacation homes and treat them as you would treat your own home or would want guest to treat your home, there is nothing worse than being banned from a future stay with us. A white folder or binder of helpful tips will typically be displayed in the home asking the guest to follow certain guidelines such as, but not limited to: 1. No smoking within any vacation property. Violators will be subject to extra deep clean cost. 2. Pets are only permitted within designated pet friendly homes. Violators will be subject to pet fee. 3. Guests are permitted to enter and exit the property only on their scheduled dates of stay. Guests who enter the home prior to their scheduled check-in time will be required to pay for an early check-in. Guests who depart later than their scheduled departure time will be required to pay a late check-out. 4. A minimum temperature of which the A/C can be set will be noted. Lowering the A/C beyond this minimum may cause the A/C unit to freeze and the guest is held liable for the repair cost. 5. Do not tamper with the pool heat box. Guests who help themselves to pool heat will be charged by the management company for the standard pool heat cost over the duration of their stay. 6. Please place child safety fence back in the upright position on the pool deck prior to departure from the home. 7. Guest will be expected to place all garbage in the proper collection bin. Upon departure of the guests, any excessive trash left within the home or the exterior of the home will be subject to proper cleaning charges and/or an excessive trash fee. 8. Please do not place any paper towel or other items other than toilet paper in the toilet bowls. Plungers are provided but if a plumber is needed the guest will be subject to the cost incurred. 9. If a guest is needing a grill one can be rented for a small fee (GUESTS ARE NOT ALLOWED TO BRING THEIR OWN GRILL IF IT IS NOT A GAS GRILL) Charcoal grills are a fire hazard and FSVR will not be responsible if one is brought to the home by a guest. 10. Any damages that is malicious or intentional to the home including the exterior or interior, or contents within the homes will result in repair or replacement charged that will be billed to the guest directly by the management company of the property. Stolen items from the property will result in charges that will be billed to the guest directly by the management company and the incident will be report to the proper authorities. The management company of a property may require guest to fill out a registration form and/or security deposit form authorizing $300.00 or more upon your arrival date which will then be held during your stay in order to safeguard the property. This is not a charge through FSVR. The security deposit is authorized and released back to the guest at the discretion of the rental property supplier and/or property manager, not FSVR. 10. Keep your keys in the lockbox when leaving the property. Lost or stolen keys will need to be replaced and the guest will be charged directly by the management company to cover this cost. Upon check-out of the home place the key back in the lock box with the lock box secured. If you lose the top of the lock box holding the key you will be charged for the replacement. 11. Please clean up spills, smudges or stains, made by your party on the floor, carpet, or bedding (towels, pillow cases, sheets, and blankets). These items need to be enjoyed by the next party entering the home and we‘d greatly appreciate your help in maintaining the home in the same fashion in which you found it. Carpet cleaning or dry cleaning cost will be a result of items left stained by a guest and the guest will be charged directly for such cleaning cost or replacements of items damaged/stained. **Please be sure to read Terms and Condition as all guest acknowledges that they have read and understood all Terms and Condition. **Tax not included in nightly rates** Check in time is after 4:00 PM and check out is before 10:00 AM. An early check-in or late check-out is available for a fee and based on availability. All properties are non-smoking. By state law, occupancy may not exceed what is posted for each home. Maximum occupancy includes infants and children. If you are found to have exceeded the maximum number of guest in a home even once departed you will be charged by the Property Management company an over occupancy amount determined by the Property Management company. Due to security reasons, software and or files may not be downloaded by guests on any in-home computer.